If you’re a dealer, you know the power of reviews. Good ones are like gold, and they can have a serious impact on your business. Here at Car Dealer Reviews, we make it easy by contacting your customers directly to collect a review. Your online reputation can, literally, be built overnight. All you do is send us the required number of customers details per month and we do the rest – no chasing customers, no hassle. Our results speak for themselves. We offer a number of different services tailored to each individual dealerships needs. 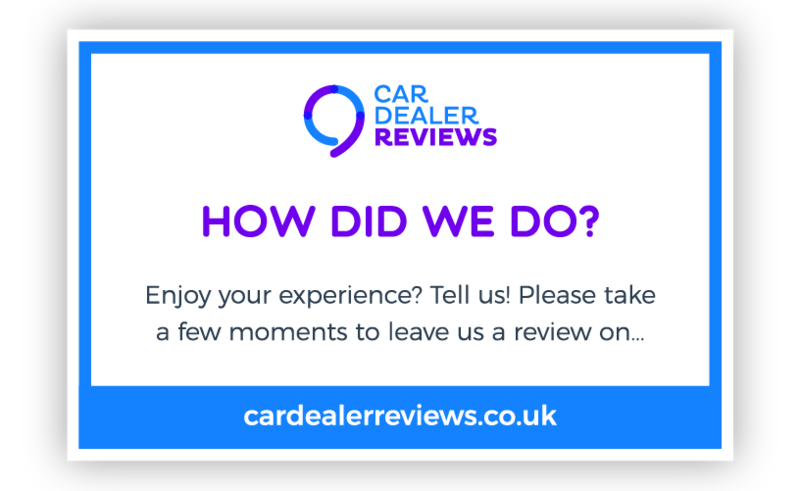 Simply enter your email address at the bottom of this page and a member of our team will be in contact about starting your review collection service. We will call your customers and speak with them - we know that customers appreciate this kind of personal touch. All reviews will be displayed as being “Verified” (Currently only 2% of positive reviews on cardealerreviews.co.uk left by online visitors are verified). All reviews can be published on your AutoTrader page, you don’t need to do anything. Automatic alerts via email will be sent to your business once a review has been left for your dealership. You will have the ability to reply instantly to reviews to thank customers and resolve any issues. To register your interest in working with us then please enter your email address below and one of our team will contact you. Alternatively email info@cardealerreviews.co.uk for more information. We work closely with AutoTrader, the UK’s biggest car buying website. This means reviews left on our site can potentially be published on AutoTrader, making them accessible to millions of potential customers. Contact us to have your review published on AutoTrader. We reward dealerships that achieve an excellent level of service, basing our accreditation on one thing only: customer reviews. We recognise the importance of reviews in the decision-making of future customers, which is why we award our Certificate of Excellence each year. We also offer excellent incentives for generating future customer reviews and clicks from your site to your dedicated review page on Car Dealer Reviews. For further information simply fill in our contact form here. You can encourage your customers to leave you a review on our site by downloading this card. Download it, print it out and hand it over when you make the sale. When they review you it will boost your rating. Interested in more reviews for you dealership?